This month the AMAZING South Hill Designs, will be launching NEW product!!!! I can barely contain my excitement. Even though I am an Independent Artist I have no clue as to what any of the NEW product will be or is going to be. To find out what new product is launched this month be sure to join my Facebook event listed below. New products officially launch July 11 – 12, 2014. 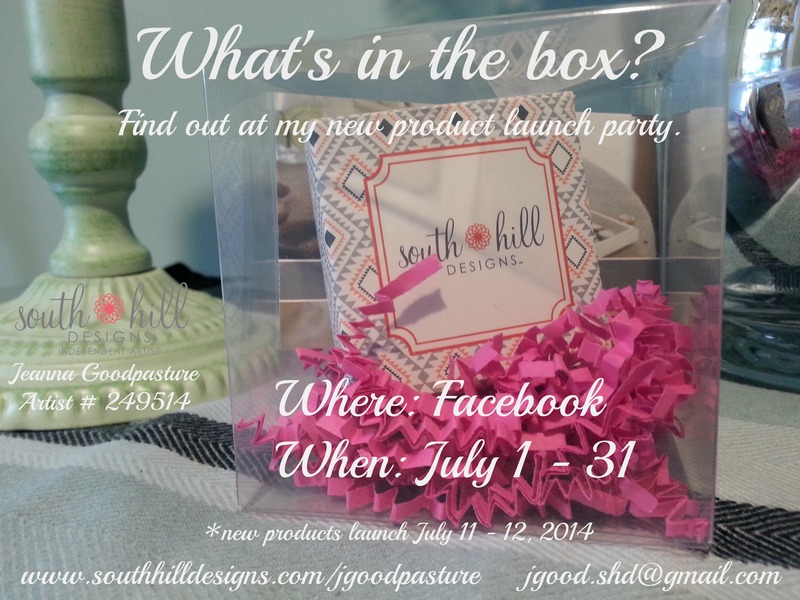 I will begin sharing the NEW product launched in my event July 16, 2014. Can’t make the event no worries you can start shopping now!!! !